Britain is expediting the drawdown of its 9000-strong contingent, which was originally slated to return home only by end-2014. Britain has had a quiet change of mind as to the extent of its troop deployment in Afghanistan. It now plans to bring back to the UK some of its troops earlier than expected. British Defence Secretary Philip Hammond revealed this in an interview with the Guardian newspaper on Thursday during a visit to Afghanistan. Who’s afraid of the Taliban? 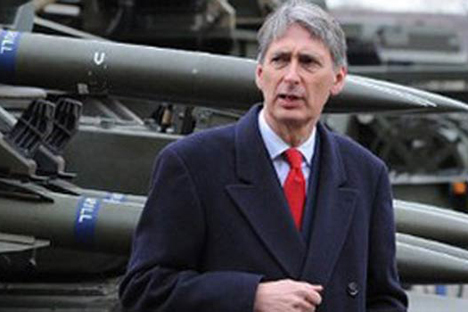 Hammond also spoke on the efforts to secure peace. He said “tracking people down and removing them from the battlefield” is not going to lead to a settlement. “There needs to be, in my judgment, greater weight given to the high level political initiative or reconciliation. We recognize that Afghan society is such that it is pretty difficult to imagine a situation where there won't be any level of insurgency … but it is also difficult to imagine in the long run a stable prosperous and sustainable Afghanistan that has not managed to reintegrate and reconcile at least a significant part of the insurgency." Ultimately, he said, there is no way forward except by accommodating the Taliban. "Look at our own history. Every counter-insurgency war we have fought in post-colonial history has ended up with an accommodation with at least part of the insurgency movement. That is the reality. You cannot create a lasting settlement with … a significant part of the population locked out. You have to bring moderates into the process to lock out the extremists as we have done in Northern Ireland." Hammond rounded up with the following estimation: "We are confident we will leave in place a solution that will not look perfect … but if it maintains the integrity of Afghanistan and stops the use of it for international terrorists, we have achieved our primary purpose. Even if we had achieved nothing lasting, every year that goes by keeping the bombers at bay, keeping them off our streets, is a significant achievement in itself. But we have clearly built the basics of a future that will deny the space of Afghanistan to those who would seek to harm us." What comes out is that Britain does not act or think alone without consulting Washington. If anything, this week’s attacks on the US missions in Egypt and Libya would add to the frustration and war-wariness in the coming period. ‘Enough is enough, let those Afghans sort out their problems their own way’ – this is the impression coming out of Hammond’s interview. The BBC’s World Affairs Editor John Simpson who was apparently in the press party accompanying Hammond reported that the British Defence Secretary was on a mission to “check out the political health of the Karzai administration.” Read Simpson’s gloomy dispatch here.